After all the leaks, here it is: The Denon DJ SC5000, which along with the X1800 mixer, the PL12 turntable and the updated "Engine Prime" software marks a concerted assault on the pro DJ booth by the company. After all the leaks, here it is: The Denon DJ SC5000, which along with the X1800 mixer, the PL12 turntable and the updated “Engine Prime” software marks a concerted assault on the pro DJ booth by the company. Denon DJ has today officially announced a complete ecosystem of pro DJ gear and software including the flagship SC5000 media player, signalling a comprehensive assault on the commercial DJ booth – a space that has, of course, been dominated by Pioneer DJ for more than two decades. Read on for full details. Denon DJ has today announced: The SC5000 Prime media player, the X1800 four-channel mixer, and (as exclusively revealed on Digital DJ Tips last autumn) its VL12 pro turntable. 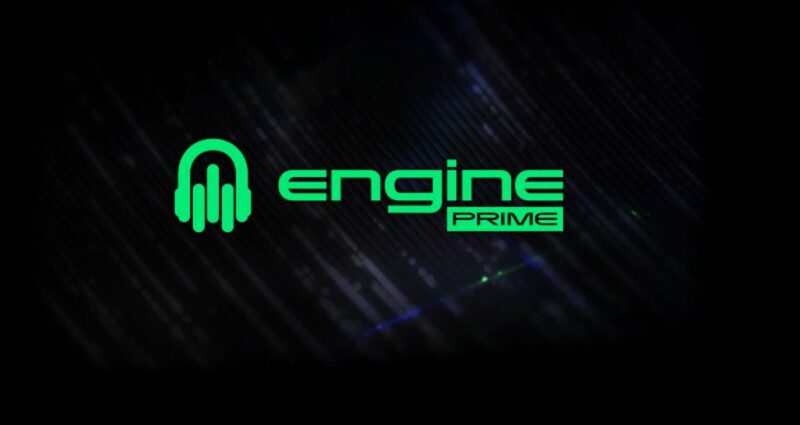 For good measure, it has also announced a new version of its Engine library management and file analysis software, called Engine Prime. The Denon DJ SC5000 Prime media player lacks a CD slot but boasts super-smooth graphics, a responsive touchscreen, snazzy label artwork in the middle of the jogwheel, and – the clincher – on-the-fly track analysis. This is the big one: A player which feature-for-feature broadly matches Pioneer DJ’s flagship CDJ-2000NXS2 model, and in many ways moves past it. The biggest new feature for us is that SC5000 can analyse music on the fly, meaning DJs who like to throw a load of tunes onto a USB stick and “just play” can now do so with all of the benefits of pre-analysed music, such as key detection, beatgridding, waveforms, sync and so on. Network four of these together and you’ve got a powerful system indeed. Apart from that, the SC5000 Prime has a very smooth, high res touchscreen that is akin to the quality of, say, iOS as opposed to that seen until now on DJ gear, and it has eight RGB performance pads of the type that are now standard on DJ controllers but haven’t until now made their way to a pro media player. A gimmick – but a nice one – is the displaying of release artwork in the middle of the jogwheels. A notable omission, however, is a CD slot – a bold move (think Apple/headphones socket). 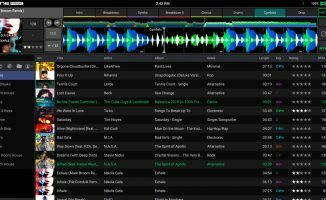 traktor and Serato compatibility is promised. Finally, something that users of four-channel DJ controllers will be completely au fait with, but which has never appeared on any media player to date: Each deck has two “layers”, meaning two SC5000s can control four “decks” simultaneously. IT seems amazing that no pro DJ media players have had this till now. 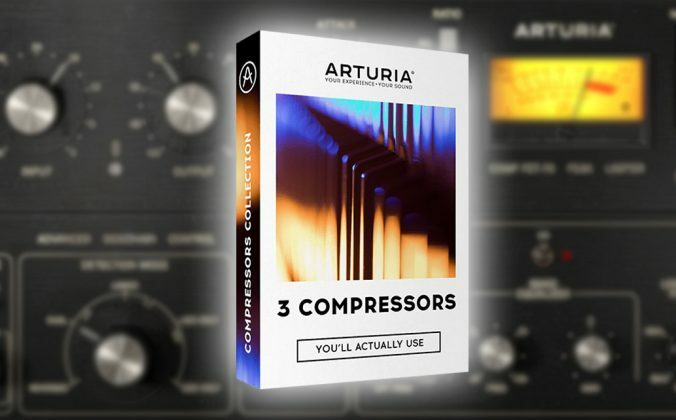 you could theoretically DJ a full set with only one of these! • Retail pricing for the SC5000 Prime is £1,499.99. Availability is Q1 2017. 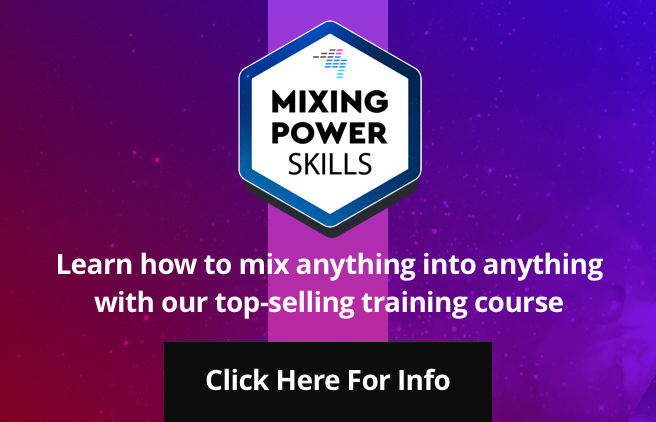 The Denon DJ X1800 four-channel club mixer is designed to pair with the new SC5000s, but has innovative features all of its own, too. 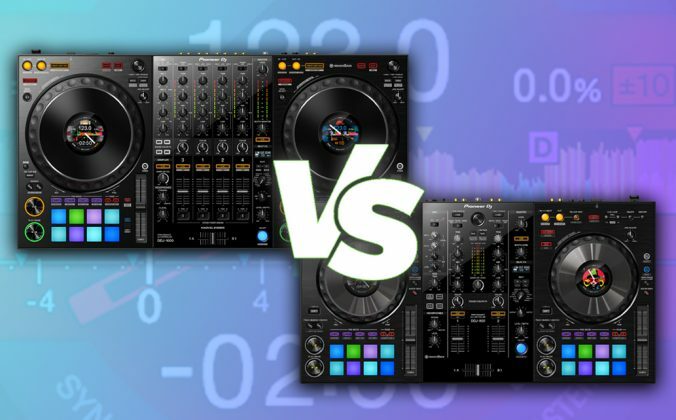 If the SC5000 is a direct assault on the sector of the market that buys the Pioneer DJ CDJ-2000NXS2, then this is Denon’s gambit for the DJM-900NXS2 space. 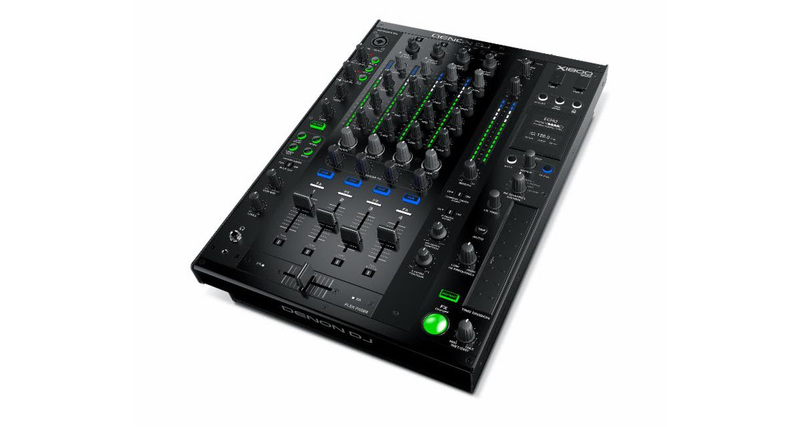 Designed to pair aesthetically and technically with a pair of SC5000s and/or a pair of PL12 turntables (see below), it is a four-channel club mixer, that as well as offering sweep and BPM-based FX, can link with the SC5000 Prime using the “Engine Connect protocol” to share beatgrid and time information with the mixer to align FX LFOs. 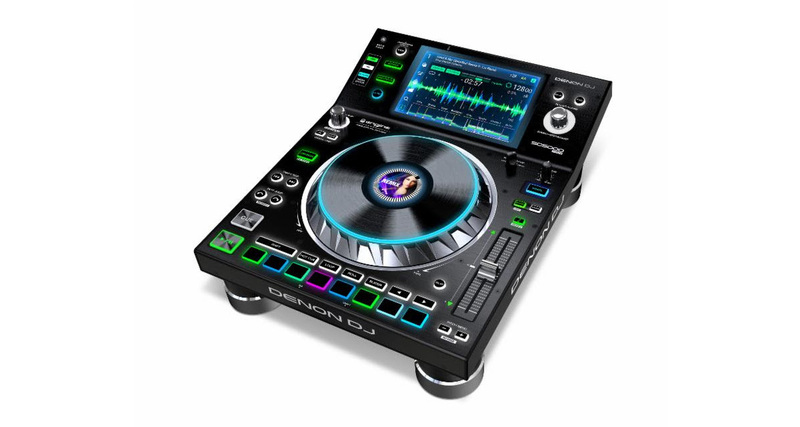 • Retail pricing for the Denon DJ X1800 is £1,499.99. Availability is Q1 2017. The first turntable we’ve seen in decades that’s actually original in design (as opposed to being from Technics, or being a copy thereof) in itself makes the VL12 interesting. As exclusive previewed several months back by Digital DJ Tips, this turntable is interesting in that it appears to have been engineered from the ground up by Denon DJ. This is unlike practically every other turntable out there, all of which are not only modelled more or less directly on the Technics 1200/1210 aesthetic, but actually come from the same factory, no matter what brand you buy. The PL12 boasts direct drive (of course) featuring the highest torque of any turntable, according to the manufacturer (you can also switch it to lower torque to approximate that of the Technics turntable family), and furthermore has a gimmick in that you can adjust the colour of its built-in LED platter lighting, as shown in the video we posted from ADE last autumn. • Retail pricing for the VL12 Prime is £649.99. Availability is Q1 2017. It appears that the Engine Prime announcement is more of a rebranding and making Engine compatible with the new hardware than anything much else: we’ll report more once we’ve had a play. Just like Pioneer DJ’s gear works with its own Rekordbox software, the SC5000 media players are designed to be paired with Engine Prime. This is the latest version of Denon DJ’s Engine software, which was last revamped last year when the company launched the MCX8000 DJ player/controller. 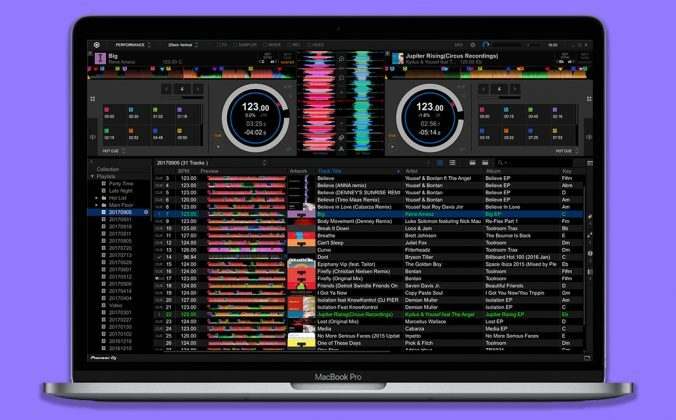 It is a desktop utility that lets DJs import music from folders, iTunes, or – uniquely – Serato DJ, where cues etc are all preserved. “Written from the ground up, It’s an entirely new digital music librarian ecosystem, that completely solves the issue of identifying, locating and accessing your desired music files quickly” says the company. Naturally, the application is “optimised for use with Denon DJ’s new SC5000 media player and X1800 Prime four-channel mixer”. • Engine Prime is included free with the Denon DJ SC5000 media player, shipping Q1 2017. As I mentioned, we’ve had a chance to play with this gear, and frankly, at least as far as the media player goes, the pics don’t do it justice. It is extremely high quality kit, built in battleship-style, and feels like basically a computer with a DJ controller built around it, on a single piece of hardware. What I mean by that is that the OS is super snappy, the graphics on the responsive touchscreen are high res and completely smooth, and the controller-like features – especially the performance pads – make you forget you’re not using a high-end DJ controller sometimes. It’s powerful indeed. The big advantage to all that power, though, isn’t the snazzy record label graphics or the snappy OS. No, the big thing is the quick analysis of music straight from USB, on the fly. Many DJs still DJ in just this way (way more than controller DJs tend to realise, for instance), and Denon DJ is surely hoping that if word gets around the superstar DJs who really don’t care for software analysis, beatgridding and all that stuff but who will surely be blown away by having proper waveforms, grids, sync and key detection without any change in workflow. The risk, of course, is that some of them may also want to use CDs – which is a no way Jose with the SC5000s. Business-wise, this all sets up a fascinating battle. If anyone can challenge the dominance of Pioneer DJ, it’s surely the monolithic inMusic group, of which Denon DJ is a part. 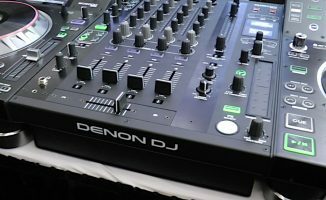 When inMusic bought Denon DJ a couple of years back, many predicted the demise of the Denon DJ brand, but frankly none of this would have been possible under the old stewardship. 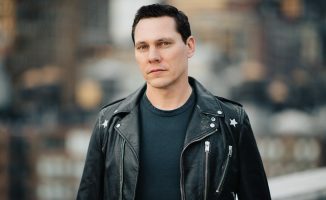 Ultimately for DJs, having a couple of big players at the high end of the market has to be a good thing, as it’ll speed up innovation and give people more, better choices. So, what do you think of the new gear? Are you considering buying Pioneer but having second thoughts now you’ve seen this? 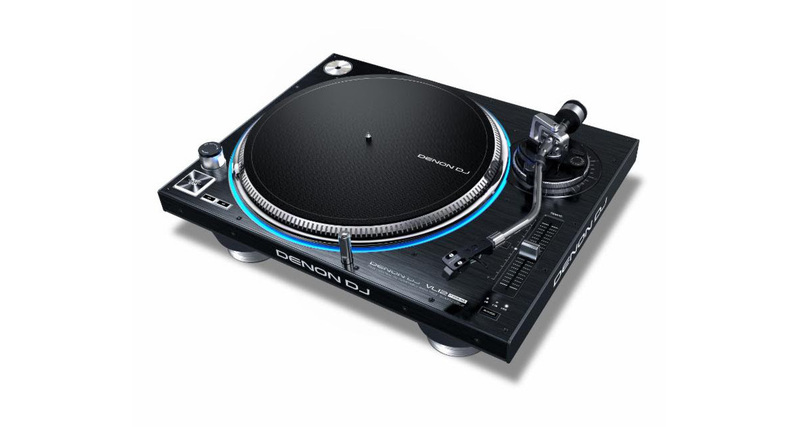 Do you think Denon DJ will carve a space for itself, or is it going to find it too hard? And who do you think this gear will appeal to the most? Let us know your thoughts in the comments. All looks VERY interesting, I have always appreciated and purchased Denon DJ gear, always loved the tough build quality etc etc. Whilst I appreciate this information is hot off the press, is there not even a ball-park figure on the expected price for this lovely looking kit? It’s a major part of the romance!! 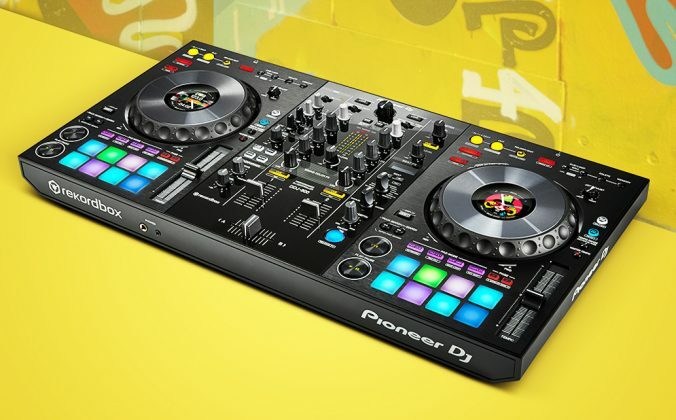 US sources state that the deck and mixer will sell for about 300 USD less than the Pioneer equivalents, with 1899 dollars being quoted for both. Had thought “Maybe they’ve got their act together on the quality control” front when they tweeted about the launch. Clicked on the link and was immediately asked for a username and password to view the marketing page. Denon quality at its best. I’ll pass! Hmmm OK, but thanks for checking the likely cost. Nobody likes cheap knock-offs, and copy cats! Wish they would’ve went the mcx 8000 route and designed their own style and not take pioneer’s blueprints and just add some lights to it and use cheaper materials. 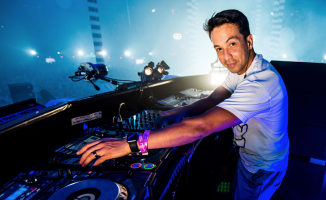 Do your OWN thing DENON! Here’s another angle though Vince. All cars have the steering heel in the same place, pedals in the same order, etc, don’t they? 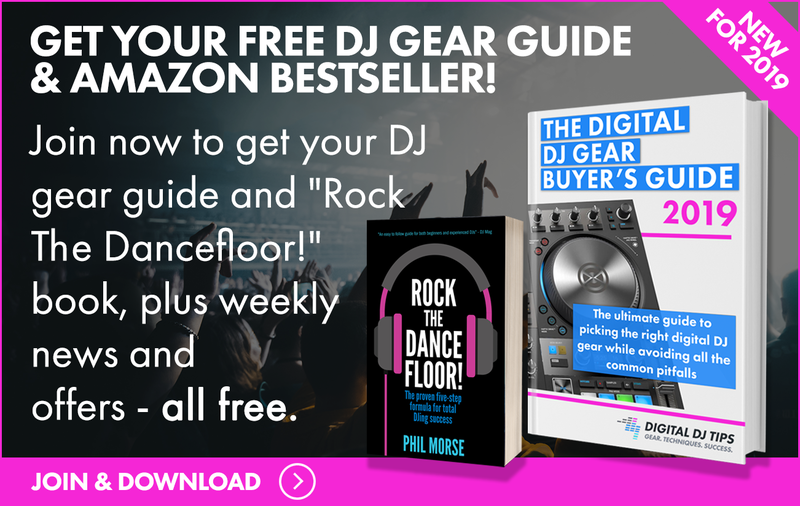 Maybe DJ gear is getting its own “standard” now in the same way. For me, that’s a good thing. Whoa Vince, metal construction is cheaper material? Last I checked, the Pioneer CDJ range are all plastic – this tops that hands down. If you want to complain, go right ahead, but check your facts first. Denon gear has always been built like tanks and at first glance, this is no different. I agree with Ian. I love my SC2900 and have always lusted over Denon gear but the engine software is a joke. I don’t mind that it doesn’t do an awful lot, but it doesn’t even do the little it does well; BPM’s are out and it just keeps on crashing! Mid-gig! I will be looking hard at the new decks , but unless Engine has been properly re-worked, I won’t be using it. Wow and Wow. Here are My First Impressions. Denon makes really good gear! The MC8000 was the best controller deck out – Made very well! No Complaints. Engine Software – Needs Improvement! Take a few pages from Rekordbox and run with it! Interesting that unlike Pioneer, Denon is supposedly using Camelot Wheel key notation, yet the photos show standard key signature notation. Is it switchable? Looks interesting ! Well, how fraternity reacts to this gear, that remains to be seen. I guess it will definitely eat some market share of Pioneer primarily on the price point and additional offerings. 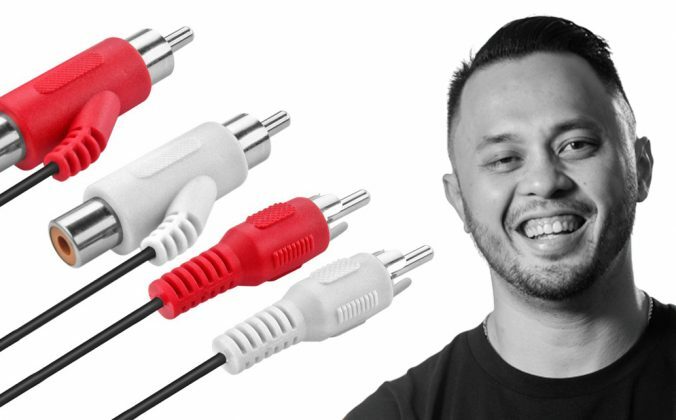 Westend DJ has them for pre-order at £1,500 – MORE than £300 more than the XDJ-1000. I somehow thinks that if Dennon comes up wit a complete ecosystem that works this not something dennon planned overnight si I asume som work and planning along with Qulity Assurance. normally this should been seen as a positive thing for the consumers. Might not bring down the price tremendously, but competition is normally good for the consumers. Hei I would swear to my little Pioneer DDJ SX2 until Traktor 5 came into my life. listen I have been waiting ever since i got my 3700’s(many moons ago) for something new. I was actually in the process to see if i could find the 3900 new or fairly new from anyone. So lets get it together DenonDj.. On that note i have used all of what Pioneer has to offer and honestly its nothing to write home about. but then again neither is the IPhone and we know how that goes.. lol .. 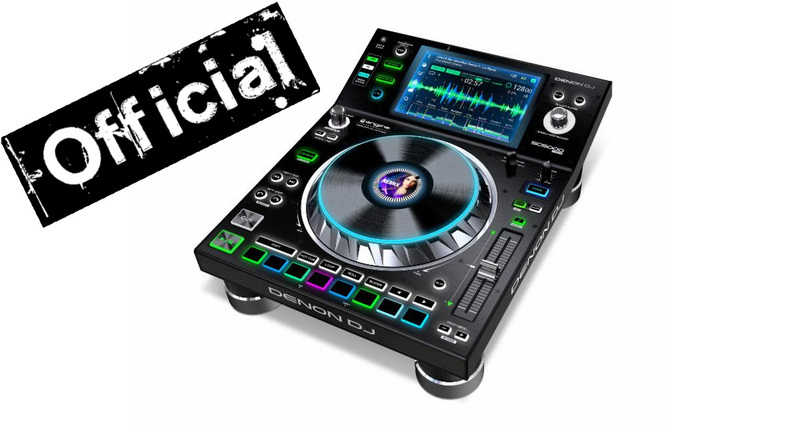 Anyway I’m patiently waiting to see if these new additions to the DenonDj family are the beast they look like. However, I do know about the lack of resource that caused those plans to sit there un-acted on in the final years before the takeover. Hi, so no fixed date for Engine Prime…sometime in March…would be good to have engine prime for my mcx 8000 before the summer gets going….DJDT- anything you can tell us? Denon have stated on their Facebook page that the new Engine Prime will not support ANY older units. Do we even know if Engine Prime supports the MCX8000 or SC2900/SC3900? Might we be left with Engine Crap?